Beocenter 8500 was intended to be a simpler, cheaper version of the Beocenter 9500. The obvious difference was that the metal sections were painted in flat grey rather than being polished. The other differences were that there was no programmable timer and that only one-way remote control terminals, such as the Beolink 1000, could be used. 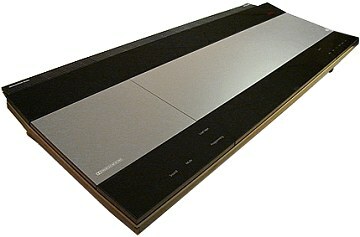 A matching turntable, the Beogram 8500, was offered. Text copyright © Beocentral. Unauthorised reproduction prohibited.